22/09/2013This entry was posted in Travel News and tagged hard rock cafe Palm Springs on 22nd September 2013 by Andy Mossack. 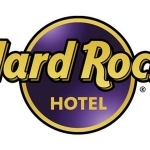 Hard Rock International, in collaboration with Kittridge Hotel Management, will transform the former Hotel Zoso into an entertainment oasis in downtown Palm Springs. Hard Rock Palm Springs will house 163 stylish rooms and offer a VIP Rock Star Suite, full-service Rock Spa, Body Rock workout facility, Rock Shop featuring the brand’s iconic merchandise, as well as an open-kitchen restaurant, stylish lobby bar and outdoor pool with hot tub, poolside cabanas and blazing fire pit. In addition, the hotel will hold day or night poolside parties with live DJs spinning tracks against the stunning backdrop of the San Jacinto Mountains. The new Hard Rock hotel nicely complements Palm Springs’ rich celebrity history and heritage. This playground of the stars, one hundred miles east of Los Angeles, gained notoriety in the 1940s when Hollywood royalty made it trendy. Today, Palm Springs continues to attract the A-list to the annual Coachella Music Festival, Stagecoach Country Music Festival and seven film festivals, including the Palm Springs International Film Festival, graced by stars including Brad Pitt, Ben Affleck, Naomi Watts and Bradley Cooper. Tourism in Palm Springs also invites visitors to play at celebrity themselves by discovering the exclusive retreats of Marilyn Monroe, Elvis Presley or Tony Curtis on a celebrity tour or staying overnight in one of the celebrity hideaways. Visitors can catch sight of a celebrity or two at the city’s many pool parties and chic boutiques, take a stroll along Palm Springs’ own Walk of Stars featuring more than 300 stars of celebrities or dine in establishments favoured by the Rat Pack, including Melvyn’s Restaurant at the Ingleside Inn where Frank Sinatra had his own table. Owner Mel is on hand to regale stories of his time with Ol’ Blue Eyes himself.